Let us show you the benefits of the most technically advanced shutters in the industry. We are not just a manufacturer. We are a full service company! We design, measure, manufacture, install, and provide warranty services. 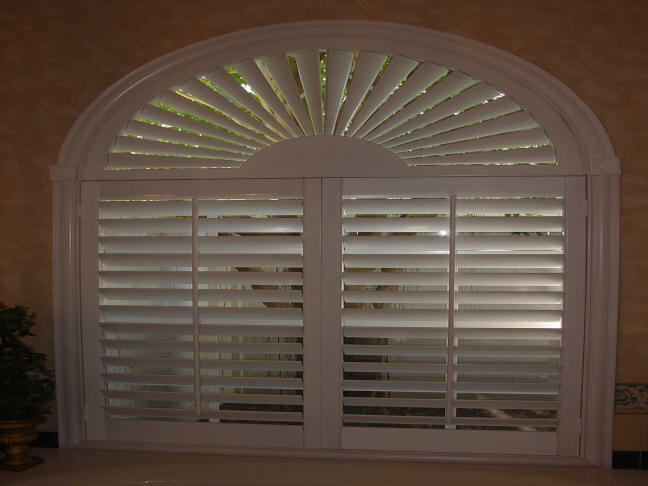 All of our shutters are 100% custom-made. We design and build shutters to fit any type or shape opening. 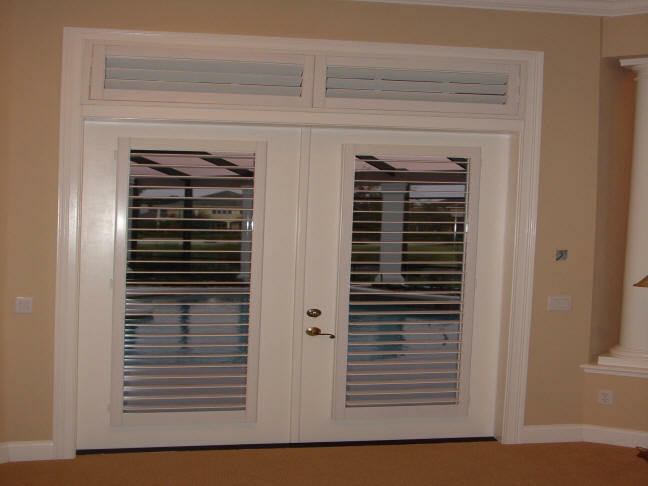 Thermalite shutters are compatible with any type of interior design you are trying to create. Light control can vary from opening the shutters away from the window for a full view, too closing shutters and louvers for an almost black-out effect. Thermalite shutters will save you money now and later! Your energy cost will go down because of the insulation value of Thermalite. Thermalite shutters actually pay for themselves! Many of our customers feel that they have completely paid for their shutters simply by saving money on their energy bills. The most important value of shutters is their extreme durability. Draperies, curtains and blinds will succumb to normal wear and tear. Thermalite shutters remain in their original high quality state for years to come. Thermalite shutters are Water Repellent & Weatherproof. The difference between buying a Thermalite shutter and wood shutter is durability. All Thermalite shutters are warranted not to warp, crack, or peel. 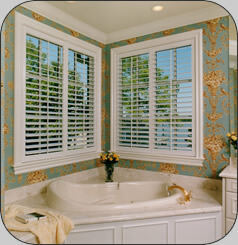 Thermalite shutters can be used in kitchen and bathroom installations where moisture can damage regular wood shutters. Thermalite shutters are wonderful for outdoor installations such as patios and lanais. The resale value of your home can actually increase because shutters are so desirable. Thermalite is made from polymer foam - a solid, non-toxic, synthetic material. Because Thermalite is 100% synthetic, no natural resources are destroyed in the manufacturing process. Additionally, Thermalite is water resistant, fire retardant, and insulates more than two times greater than wood. As a matter of fact, Thermalites insulating properties are so great, The Southern California Gas Company recognizes Thermalite as a source of energy conservation. There is more to being the best shutter than the material alone. Thermalites manufacturing process includes the patented Duraglide Louver Tension System, guaranteed never to need tightening or adjusting. The fastening system used to secure the tilt rod to the louvers is guaranteed never to loosen or to pull out. Both of the aforementioned claims are backed up in writing with the most comprehensive shutter warranty in the industry. In addition to its great looks and versatility, all of Thermalites properties make Thermalite the best permanent window covering available. Plantation Shutters look great on French doors. The picture above features our exclusive Ultra Clear Plantation Shutters. We have totally eliminated the tilt bar!!! 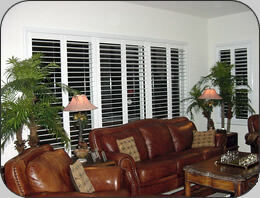 These Ultra Clear Plantation Shutters feature"OneTouch Adjustment" technology. Copyright © FlShutters.com. All Rights Reserved. Thermalite window plantation shutters are Water Repellent & Weatherproof, Perfect for high humidity areas like the bathroom! Thermalite window plantation shutters are tough enough for the bathroom but looks good enough for the family room! Click here to see our shutters in action!! House Plantation shutters were first seen On Tudor (1485-1547) and Elizabethan (1558-1603) homes. windows were popular. House Plantation shutters were still popular and were attached to the inside of the window but they now covered the entire window. and the house plantation shutters moved outdoors. With walls being built thinner, exterior plantation shutters could now easily be reached from the inside. The former stone and brick homes had such deeply recessed windows that exterior plantation shutters would have been difficult to reach from inside. truly stood the test of time. PRACTICALITY, FUNCTION, ELEGANCE....PLANTATION SHUTTERS ARE SIMPLY TIMELESS!!! Plantation Shutters have been referred to as many other names, such as, house shutters, window shutters, and security shutters just to name a few. However you wish to refer to them.....our plantation shutters are sure to please you!! !